Note the carbon fiber hood. Sweet! 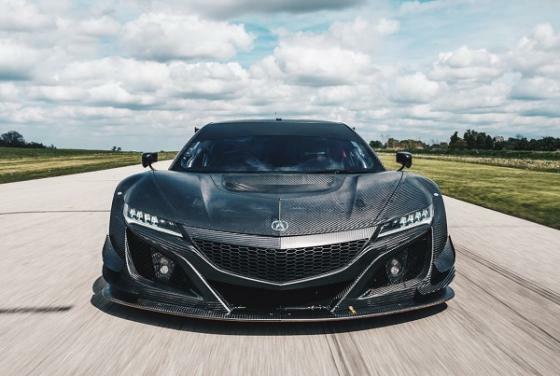 The race prepared Acura NSX GT3 Car is rear axle driven and V6 gasoline motivated. No hybrid here.